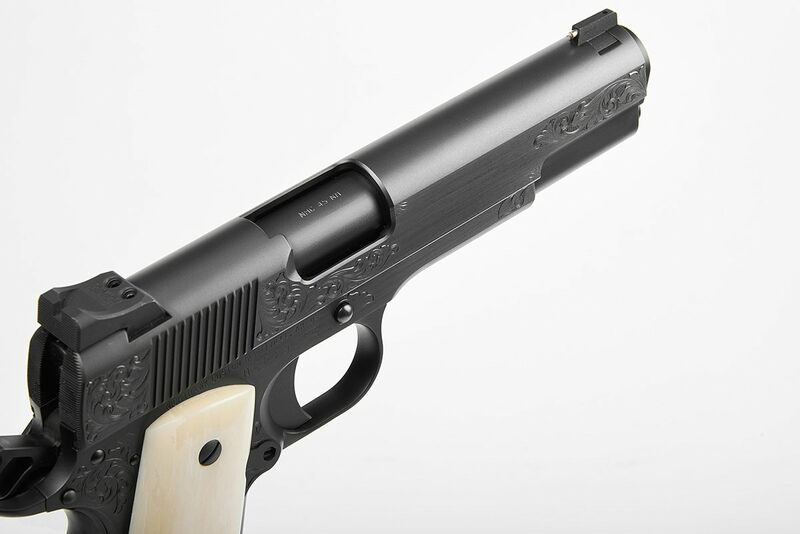 Nighthawk Custom starts 2019 out with a 1911-style bang, introducing consumers to its new VIP Black pistol. 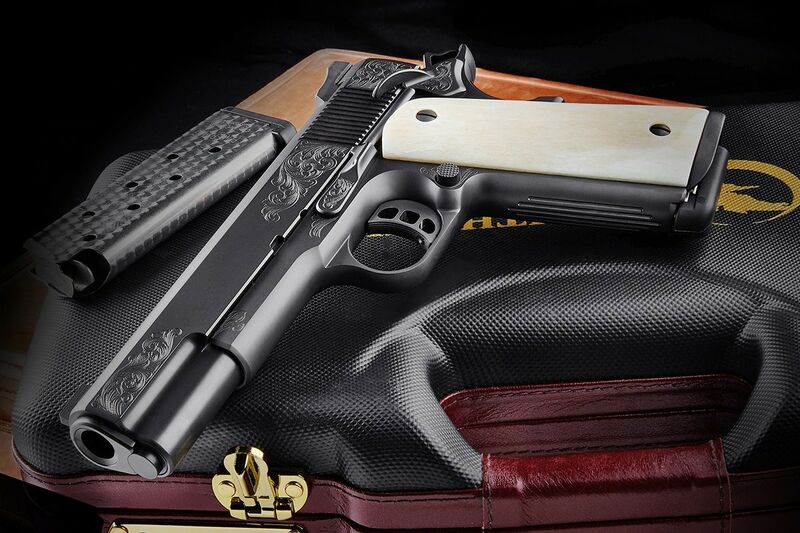 The VIP Black keeps with the traditions of Nighthawk Customs, bringing an elegant, upgraded look to the 1911. The pistol boasts hand engraved details accomplished by Master Engraver, Bertram Edmonston. The .45 ACP chambered handgun also offers a black diamond like coating bringing a durable but sleek look to the VIP Black. Measuring 5.6-inches in height with an overall length of 8.66-inches, the VIP Black is built on a government frame. With a 5-inch browned barrel, the 1911 provides front strap and mainspring housing serrations. Additionally, serrations are featured on the rear of the slide ejector that also match the Heinie black rear sight, according to Nighthawk Custom. The handgun is topped off with a 14-karat solid gold beat front sight and giraffe bone grips. The VIP Black ships with a custom walnut hardwood presentation case and price tag of $7,999. The post Nighthawk Custom enters new year with VIP Black Pistol appeared first on Guns.com.